The History of Apple iPhones: The History of Apple iPhones: Apple finally announces smartwatch, but it's not an iWatch! It is called "Apple Watch". 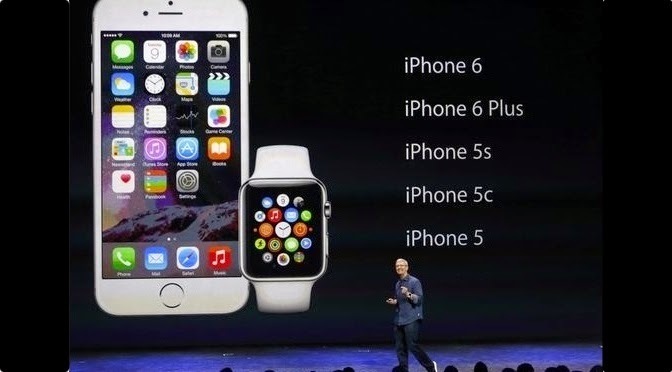 The History of Apple iPhones: Apple finally announces smartwatch, but it's not an iWatch! It is called "Apple Watch". Apple finally announces smartwatch, but it's not an iWatch! It is called "Apple Watch". 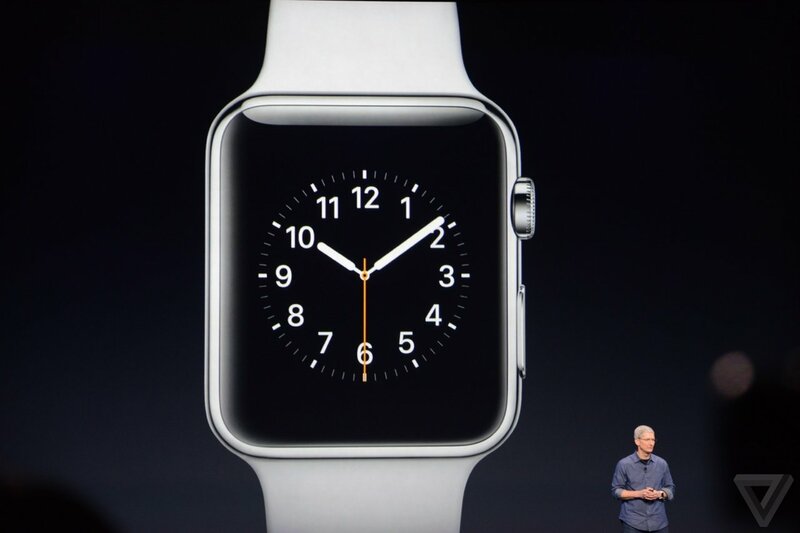 Apple unveiled its first smartwatch on Tuesday. The move was hotly anticipated, as Apple enters a competitive and rapidly expanding market. People have been speculating about it for over a year, but Apple has finally unveiled its first foray into wearable technology. The Apple Watch (yep, not the iWatch), is an Apple-made smartwatch that was shown off during Apple's 9 September iPhone 6 event, with a new dial called the crown, close integration with iCloud and Siri and a flexible sapphire display. The new watches will be available starting in early 2015,"Apple introduced the world to several category-defining revolutionary product that can enrich people's lives. products, the Mac, iPod, iPhone and iPad,"
Apple announced the iPhone 6 and iPhone 6 Plus, the Apple Watch, and a brand new ApplePay tap-to-pay system to replace credit cards. Separately and together there are enormous accessibility implications for these announcements. Firstly, I’m not going to list everything that was announced – for that you can watch the recording of the lifestream or read The 15 Most Important Announcements From The Apple Watch iPhone 6 Event. I’m just going to talk about the things that are relevant to accessibility in some way. Lastly we have the Apple Watch, not due for release until early 2015, and a device that has left us with more accessibility questions than accessibility answers at the moment. On the bonus side of the equation is “tactic” feedback via gentle vibrations on your wrist. This could be a really enormous bonus for many users, and the webpage also describes a “subtle audio” alternative for those who don’t want or can’t use vibrations. Control via a “digital crown” – the button an analogue watch uses for setting or winding it – as well as a button on the side and touch-screen controls are both a plus and a minus in accessibility terms. Having a physical control mechanism makes things easier to use for some users but makes them completely inaccessible for others – users who can only use a stylus or mouthstick to access their iPhones and iPads won’t be able to manipulate a digital crown. The Apple Watch will let you use Siri simply by lifting your wrist, or alternatively trigger Siri by pressing and holding the digital crown. None of the videos showed Siri responding verbally but since an Apple Watch can only be used in combination with an iPhone, verbal responses through the iPhone should be possible I would think. Just having the Watch on your wrist is an accessibility bonus too – as I was writing this my phone rang and I dropped it as I struggled to get it out of my pocket fast enough to answer it. Being able to accept a call by touching my wrist would remove the urgency, and Apple says that the iOS 8 Handoff feature means I can still transfer that call to the iPhone as soon as I wrangle it out of my pocket if talking to my wrist isn’t my style. Pulse monitoring is a big accessibility plus for me personally, too, since I have a disorder that frequently messes up my pulse rate and requires lots of pulse checking. I would think there are medical possibilities here too. The watch bands look to be fairly good for physical accessibility in terms of taking the watches on and off – there are several options but mostly of them use magnets for closure so they are a lot less fiddly than a traditional buckle-up watch clasp. The Apple Watch has a variety of different bands, all of them are fairly easy to do up compared to a traditional buckle-up watch. On the big negative side, the Apple Watch is water resistant but it isn’t waterproof. For users who have memory or cognition problems that would prevent them realising they need to take it off, or users who have physical impairments meaning they can’t remove the watch and put it back on independently, this could be a big deal – especially since dunking a watch could set you back more than $350! Everything else is still fairly unknown – will the watch be accessible to blind users? Will there be assistive touch alternatives for those who can’t manipulate the physical buttons? Will there be guided access alternatives? Low vision access options? My experience with Apple tells me that these things will all probably come over time, but they might not be there from day one, which is a big deal for disabled users who are as enthusiastic as anybody about Apple products and want to experience new technology. I sincerely hope that Apple informs us about these things as soon as possible, and has good answers! 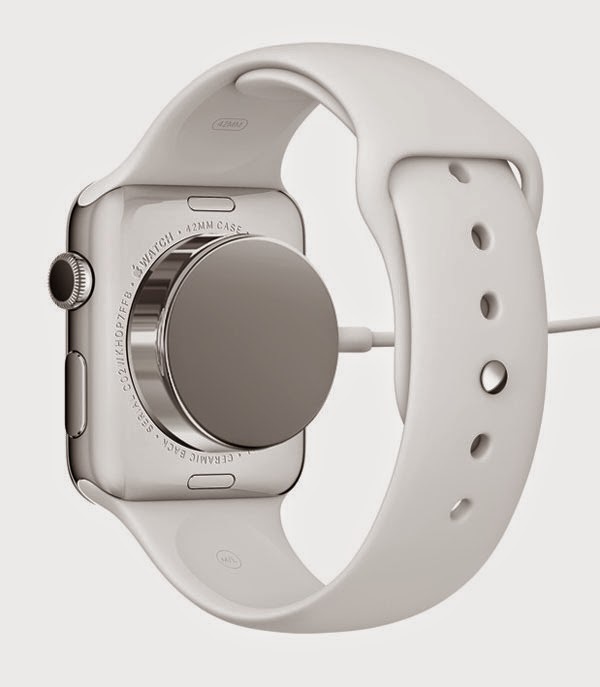 One of the features Apple touted on Tuesday is the watch's inductive charging system. Users will be able to charge an Apple Watch by connecting a cord magnetically to the back of the watch body. But notably absent was any mention of how often you'll have to juice up your watch. Battery life has been a big issue among the smart watches on the market. According to the Verge, the charges among the smart watches on the market have ranged from a few hours to a week long. However, the longer-lasting ones have been more rudimentary than the Apple Watch: black-and-white displays that aren't touch screens, for example. A glance at the newest competitors shows what the Apple Watch will be up against when it comes out in early 2015. Sony's latest offering, the SmartWatch 3, can last two days on one charge, according to the Guardian. Meanwhile, Motorola's Moto 360, was lambasted upon its release for its disappointingly short battery life. Gizmodo found that it lasts "24 hours plus." Consider it the Apple Watch's own system of Morse Code. The watch will do turn-by-turn directions, but instead of making you listen to Siri's voice or stare at your watch screen to know where to go, it will simply tell you by feel. One type of vibration will let you know it's time to turn left. Another will tell you it's time to turn right. To learn more in detail about the Apple watch please go to the link below.